It’s been lots of fun to get together each week and watch, draw, laugh, and learn with the people who come to Drawing Club. But, it’s good to change things up…and we’re taking a break. Thank you for making our Thursday evenings together so much fun! And if you use your now unoccupied Thursday nights to jump into something new, be sure to tell us about it! We love seeing what people are up to. 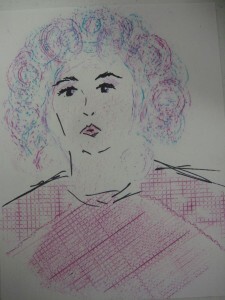 This entry was posted in drawing club and tagged drawing club. Bookmark the permalink. Both comments and trackbacks are currently closed.